No iPhone Left Behind... Thanks to Apple Watch? If you walk about 30 feet away from your iPhone, chances are your Apple Watch will realize it before you do. The iPhone and Apple Watch were, literally, made for eachother. Your iPhone knows when it's connected to your Apple Watch and vice versa. Consequently, your Apple Watch knows when that vital connection is broken, and you've walked more than 30 feet away from your iPhone. When your Apple Watch is more than 30 feet away from your iPhone, there is a small red indicator on the face of the Watch indicating that it's no longer connected. It would be great if the Apple Watch had a feature where it can ring an alarm whenever the connection is lost, just in case you accidentally left if behind. I've owned an Apple Watch since the first week they were released. Here's why. 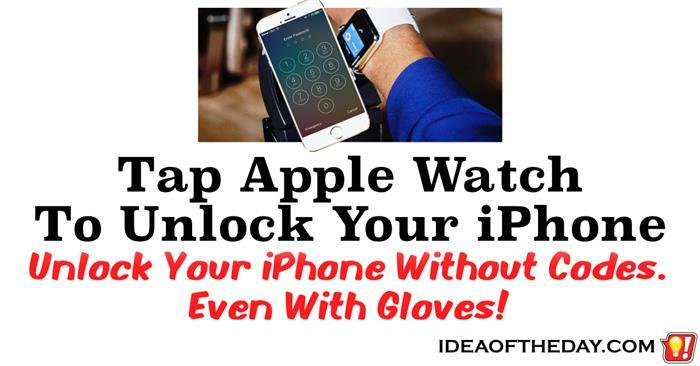 Ever since smartphones came out, fewer and fewer people were wearing wristwatches, especially younger people, because they can get the time by looking at their phone. Considering this trend, some people wondered why Apple would even consider investing resources into developing a watch. As it turns out, their gamble paid off, because it's already become the most popular selling watch in the world. But why? Here are a few reasons that I wear mine. 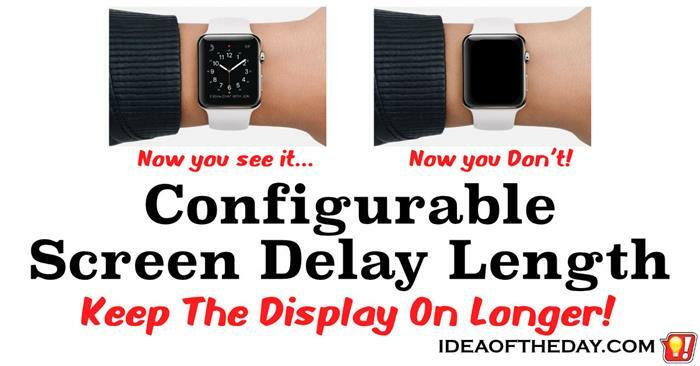 More than half of the Faces on the Apple Watch don't allow you to show seconds. Apple claims that the Apple Watch is one of the most accurate timepieces in the world because it's accurate to around a billionth of a second. The trouble is most of the watch faces don't give you an option to show the number of seconds, which means at any given moment, you could be up to 59 seconds off. This means that if you look at your watch and it reads 8:59, it could actually be 8:59... and 59 seconds. To me, that's a pretty big gap considering the main point of a watch is to give you the accurate time. 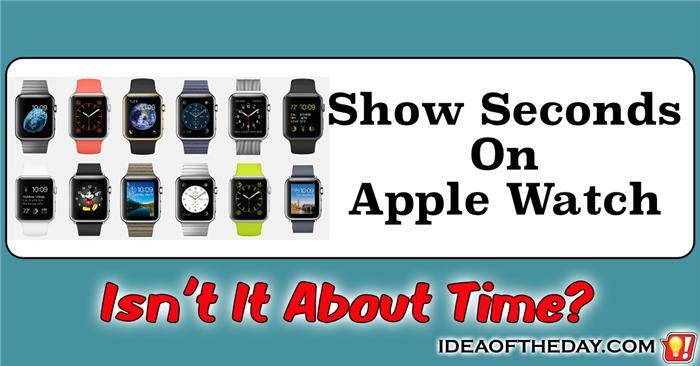 Show Seconds on Apple Watch Faces... Isn't About Time? Yesterday Apple Released WatchOS 2.0, including more Faces... that still don't show seconds. I don't like repeating myself, but as I mentioned in a previous post: Apple should allow the seconds as an option on more Watch Faces., but even after the first major update to WatchOS, they still don't offer the option to show the seconds on more than half the Watch Faces. It drives me crazy that I can't make the display stay on longer on my Apple Watch. One of the great things about the Apple Watch is that you don't have to hit any buttons to see the time. This is made possible by using a series of motion sensors that can detect when you are positioning your watch in front of your face. In order to save power, this also means the Watch turns off the display a second or two later. The trouble is, that also means it turns off the display when I'm still reading it. 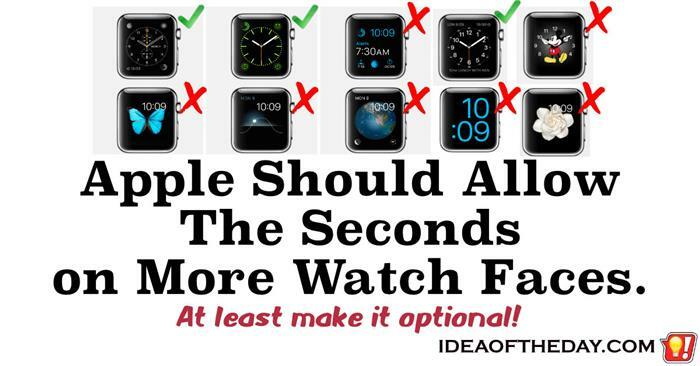 Apple Watch is first and foremost an incredibly accurate timepiece... Sort of. One of the first things Apple said about their new Watch was that it is one of the most accurate timepieces you could buy, with an accuracy of about a billionth of a second. The trouble is, most of the time when I look at my Watch, it's off by up to 59 seconds, depending on when I look at it, because the Face I use doesn't show the seconds. Without the seconds, I find myself staring at the Watch when I'm waiting for an exact time, which of course could be almost a minute away. What makes matters worse is that the time only displays for a couple of seconds before it goes black to I keep dropping my arm and lifting or tapping it to get it to display again. By then, I often miss it. Sometimes the Apple Watch eats up power doing absolutely nothing. One of the BEST things about the Apple Watch is that it has it's own CPU and memory and it can run it's own Apps. One of the WORST things about Apple Watch is that it has it's own CPU and memory and it can run it's own Apps. This may sound strange, but the fact that the Apple Watch can run it's own Apps, doesn't mean it HAS to. 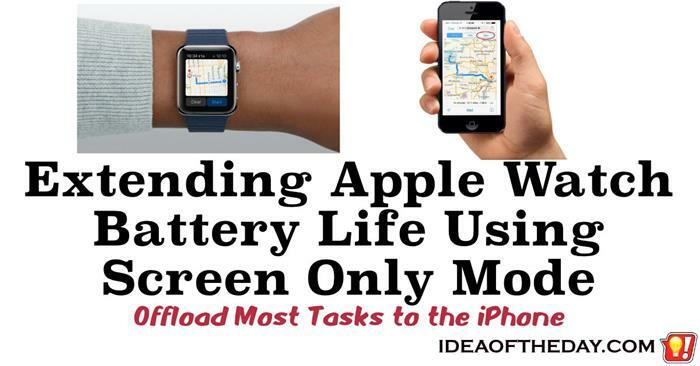 The fact is, some tasks clearly take up more processing than others and are too much of a drain on the battery. I've noticed that on the days I used the GPS on my iPhone, the battery was low on my Apple Watch. That's strange because I didn't even look at my Watch while driving, so why should it drain the battery? 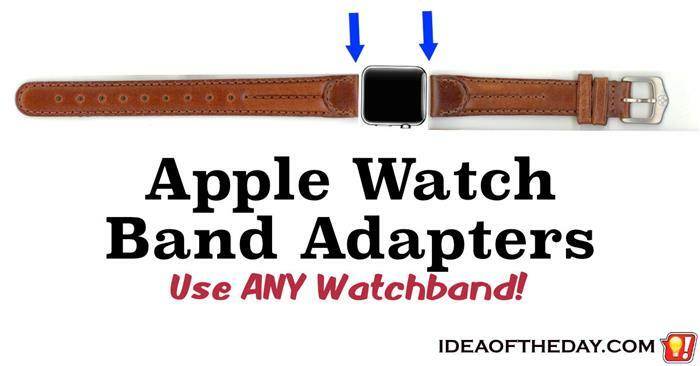 Apple Watch Band Adapters - Use ANY Watchband. Apple Watch has dozens of bands to choose from. That's not enough. When I first saw the Apple Watch, I loved the variety of bands they showed off. They have a great mixture of rubber, metal and traditional leather bands, so what's not to like? I wanted the Stainless Steel Milanese band, but those were backordered for months, so I settled for the blue rubber one for now. It's functional, but it stands out like a peacock when I'm at a meeting, and while it's nice to get noticed, sometimes you don't want all that attention. So for at least a few more weeks, that'll be the only band I'll use. Since Apple knew they would have a shortage of bands in other styles, wouldn't it've been better if they sold adapters for people to use whatever band they want? 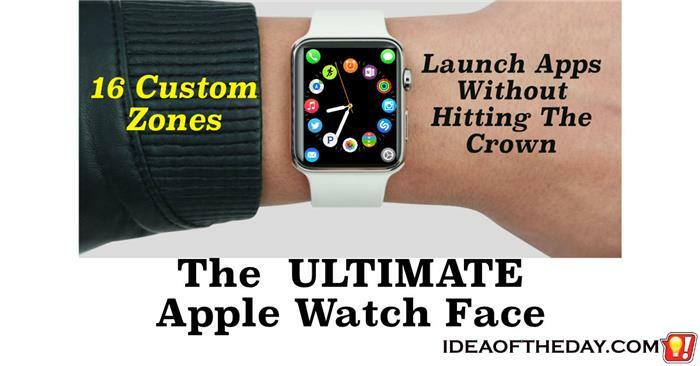 Wouldn't it be great to launch your favorite Apple Watch Apps right from the face? One of the great things about the Apple Watch is all the different ways you can customize the face. Some of the faces look like a traditional watch, and others look distinctly modern. Most of the faces have at least a couple of customizable zones, where you can select from a number of options such as Stopwatch, Date, Timer, Stock Market, Temperature, Alarms, etc. What's great about those zones is they don't just show you the information; when you tap them, they launch an associated App. For example, if you tap the current temperature, it launches the full Weather App. Tapping the Date launches the calendar. 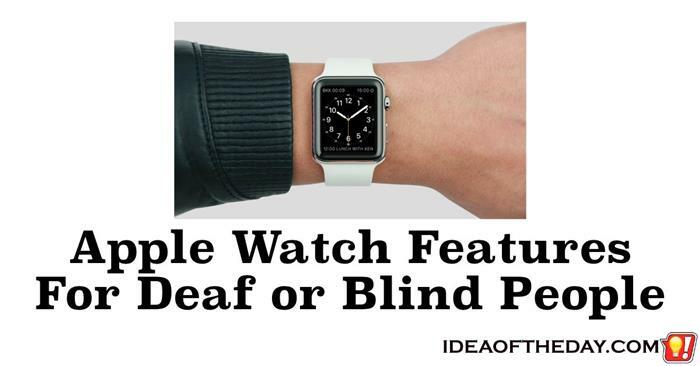 Apple Watch Features For Deaf or Blind People. 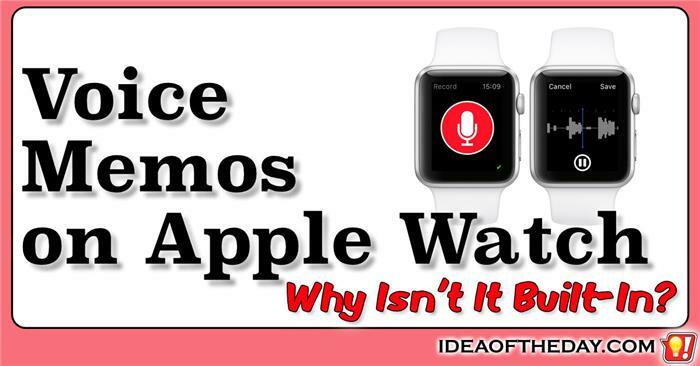 You don't hear much about the potential uses of the Apple Watch for deaf or blind people. I recently saw a blind person wearing a wrist watch. At first, I wondered if he wore it as a fashion accessory, or if there was some kind of special feature that made it possible for him to determine the time. Rather than ask, I searched online and saw that there are quite a few watches made for blind people. Some have a traditional looking face that people can feel, and some have sand entirely different face that only a blind person could understand. After I got my Apple Watch, I thought of some ideas of how blind people could use the Apple Watch, and I discovered that Apple had some of the same ideas, but they haven't promoted them yet. 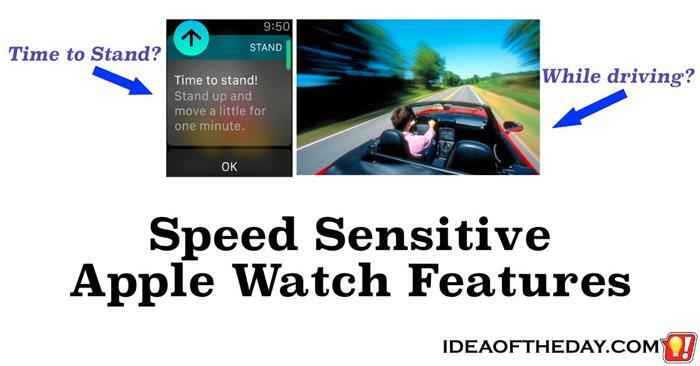 Apple Watch Needs More Speed Sensitive Features. Time to stand?... but I'm driving! Now that I've used the Apple Watch for a couple of weeks, I've noticed a few of the features don't seem to factor in things like speed. The first time I noticed this was when I was driving for about an hour and the Fitness / Activity App sent me a signal telling me it was time to stand. If you're not familiar with the Activity Apps, they keep you motivated by reminding you to get up and move when you've been sitting too long. I love the Apple Watch. I just wish it was easier to see the time. 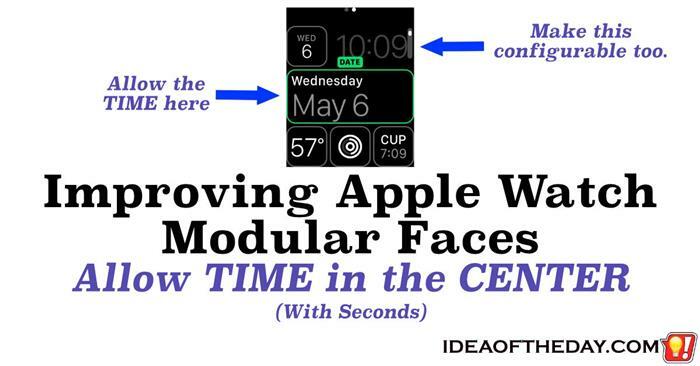 One of the features that people don't talk about with the Apple Watch is changing the faces. I've tinkered with most of them, but the one that seems the most flexible to me is called the "Modular" Face. - The upper left has a small box. - The center has a large box that spans the whole width. - The bottom has 3 small boxes. Digital watches have been around a long time. Why is the Apple Watch different? We all know technology companies love to hype their new products as the next big thing, so it's not surprising that a lot of people think the Apple Watch is nothing new. In fact, there are millions of people already wearing SmartWatches from companies like Samsung, LG, and Sony wondering what all the fuss is about. The fact is. 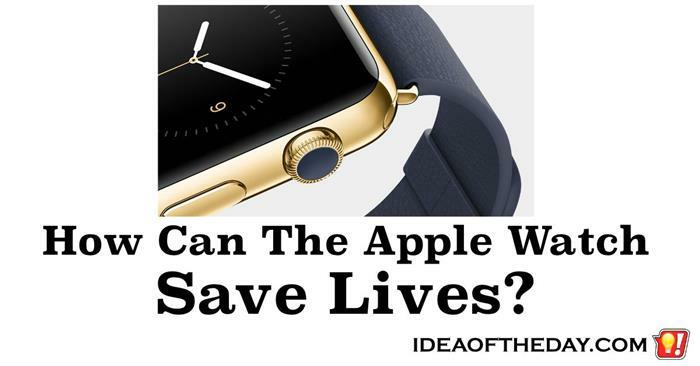 The Apple Watch IS different, and it's going to surprise a lot of people, and even save lives. That may sound like a bold statement, but it's entirely true, and it's only going to get better as new Apps and future models roll out. Even with the first generation models and Apps, there are already a number of potentially life saving features.